When I was a little girl, I had a dream of providing a safe, thriving, peaceful, beautiful, creative, fun, and even a professionally decorated home, where my children would be free to grow into the plans God had for them. Of course, this was decades before I understood the realities of marriage, bills, budgets, special needs children, and the general exhaustion that comes with being an adult. Instead of enjoying the time and days with my children, I was too caught up in to-do lists, obligations, stretching the budget, and feeling stressed over homeschooling, wondering if I was teaching them enough. Add in a few special needs children requiring therapy services, and soon, I realized that I was a far cry from the girl I used to be. This saddened me, as I saw my children didn’t know who their mom was. Sure, they knew the caregiving, nurturing side of me, but they didn’t know much about my interests, hobbies, or anything regarding my creative side. I was too busy being serious and practical to have time for anything else. When I created the theme of this blog, “creating culture; breaking tradition,” my hope was to use it as an outlet to show how our family was breaking from past traditions to which we’d become accustomed, forging ahead into creating a new culture within our home. While we’ve made great strides in working on creating an atmosphere of inspiration and belonging in our family, I still feel I missed the mark somehow. If only I had time to be creative like the mom down the street. If only I had a larger budget, didn’t have to juggle therapy schedules, could actually get caught up on laundry, was a better cook, was more crafty, knew how to sew and knit, then I could do a better job at giving my children the positive atmosphere I longed for. In other words, if I was simply someone else, perhaps I wouldn’t feel like a failure. Even though I’ve written about how important it is not to compare yourself to other moms, and to be the mom your children need, I still struggle. I’ve made progress over the years, but I still don’t feel I’m where I want to be. 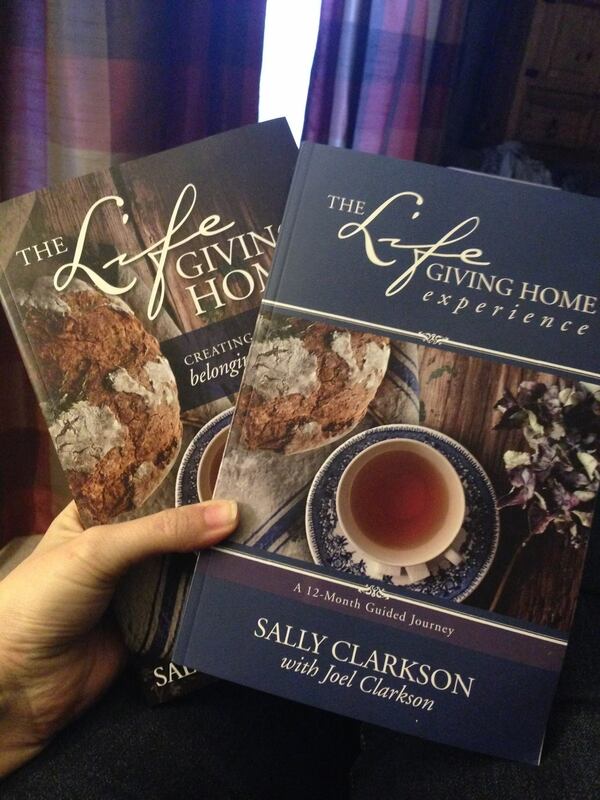 And then I received this beautiful copy of Sarah and Sally Clarkson’s latest book, The LivingGiving Home. When I started reading the introduction, I felt a little intimidated, as Mrs. Clarkson wrote of places where we could “survive” but not “thrive.” I definitely feel there are days when we’re simply surviving. As I continued to read, several things jumped out at me, including the importance of creating a family culture that’s unique to your family and how our family will change and grow as the seasons of life change. I love the layout of this book, how it includes alternating chapters between Sally and her daughter, Sarah. With her wisdom and warmth, Sally is the mentor mom many Christian women need in their life, while Sarah’s perspective as the daughter who is now creating her own home, brings everything together. Practical ideas and tips for family celebrations, togetherness, and bonding aren’t simply peppered throughout this book, they season it, with an abundance of inspiration. The idea isn’t to teach you how to make your home like the Clarkson’s but rather to make your home your own. Let go of concern about the decorating budget or the size of your house, and focus on the ones who live, and who are invited to fellowship, within its walls. Ideas are organized according to months. For example, in January, some ideas are given on enjoying cold, wintery days and during the summer months, a variety of ways to enjoy the outdoors and other celebrations. Baby showers and other family milestone celebrations are explained in detail for spring months, and celebrating the holidays bring the year together. While thorough and thought provoking, I found the book practical so a busy mom can read through it in a few days and go back and review for more ideas to share with her family. While in reality, a $4 bouquet of flowers won’t break the bank, and my daughter enjoys any and all things beautiful. Her dream is to have a lovely centerpiece for our table. So I threw my practical side to the wind, picked up a bouquet, brought it home, and placed it in the center of my table. Learning to listen to the input of my children is important to me. I also want to understand their dreams, their goals, how God is teaching them—for them to know there’s a place for them here, that they’re important, that they belong. For my daughter, that simple purchase made her feel that she made a tangible personal contribution to our family unit. So, yes, our days are chaotic, our schedule is hardly ever the same, and there are moments when the house is not organized, but that’s OK. It’s OK that our family culture doesn’t look like the one next door. It’s OK to take a time out in the middle of the afternoon to listen to a child who needs to chat, even when there are dishes piled in the sink and the dogs have ripped open the trash bag. Again. It’s OK to let voice mail pick up a call or to wait until tomorrow to answer an e-mail. The more children I have, the more I learn how quickly these years pass, and while our days aren’t perfect, I want my children to know that they belong here, that our family isn’t complete without them, and that God has a plan for each one, and we pray that we’ll let go of the stressors, and teach to them to focus on what’s important. The LifeGiving Home would be a blessing to any mom or anyone who is setting up their home. I wish I had a copy when I became a mom nearly 14 years ago. There’s also an accompanying guide that allows you to put ideas to paper and create your own custom plan for building a positive culture within your home. 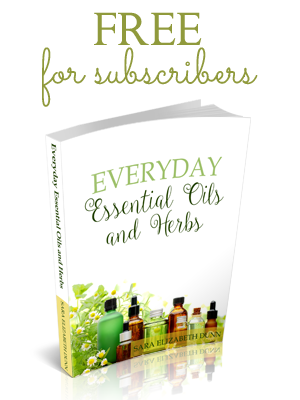 For more information on The LifeGiving Home, visit their site for a plethora of resources! You’ll find ideas for books, music, and other ways to bless your family and home life. Thanks so much for visiting, and for sharing your heart to minister to other moms. My children love their tea time. 🙂 Thanks for visiting and entering the giveaway. What a great list of books! I need some of these. Thanks for sharing your heart. I know! 🙂 When I attended a MomHeart conference, I loved seeing all of the books they suggested for family read alouds. They were all treasures. You’re welcome! 🙂 Thanks so much for entering and visiting. To memorize section was helpful. We enjoy memorizing passages together and keep a special index card box of memory work organized by daily, odd and even days, days of the week, and each day of the month. Simply Charlotte Mason explains how to arrange a box. Oh! That’s neat! I’ll have to check into that.